A taste of the islands! 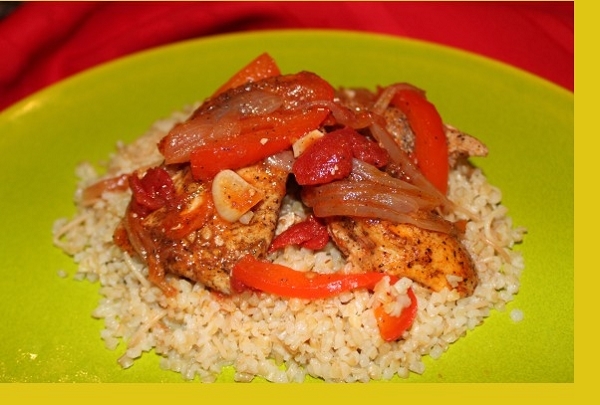 Succulent chicken seasoned with Caribbean spices then pan broiled with a savory sauce. 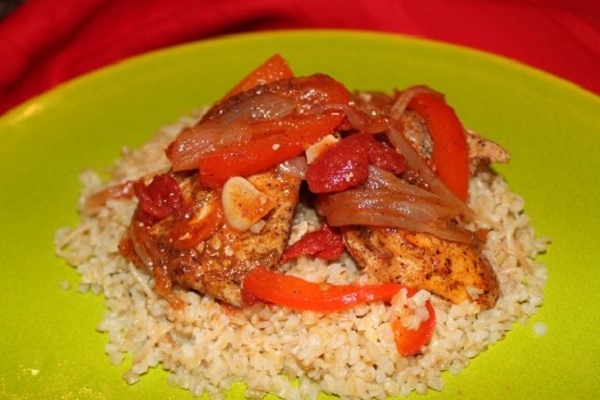 Chicken breasts, bell pepper, onion, tomato, garlic and spices. Heat oven to 350° F. Add 3 tablespoons of oil to a skillet and heat on medium heat. Saute chicken 2 minutes per side, adding more oil as needed. Transfer chicken to supplied pan and pour the sauce mixture over chicken. Bake in oven for 30 – 35 minutes or until chicken is cooked through. Microwave rice until heated and serve.